NEW: Now supports Cooldown Tracking for procs (gear & monster sets) with internal cooldowns! NEW: Now supports Stack Tracking for abilities and procs with stacks! NEW GROUP BUFF & DEBUFF TRACKING FEATURE: New in 2.4.19 is the option to show buffs AND debuffs with a duration (configured and shown separately) for everyone in your group or raid on their unit frames. You can either whitelist specific auras to track, or show all buffs/debuffs with a duration that you don't specifically block. Full customization and positioning options, see below video for details. Group buff & debuff tracking currently supports vanilla, Foundry Tactical Combat, Lui Extended, and Bandits User Interface group & raid frames. Check out this helpful configuration tutorial from Yolo Wizard! Srendarr adds the ability to track buffs and debuffs on yourself as well as others (even group members! ), both the standard abilities that appear under the Character window as well as many special buffs like enchants, gear procs, and cooldowns that normally only show via graphical effects on your character (or not at all). It can also do other things like keep track of Hawkeye and Merciless Resolve stacks. The aura tracking is designed to visually mesh with the standard UI theme but includes many options to change the appearance, and even more options to categorize and filter how the auras appear including multiple movable display windows, groupings for auras of a similar nature, a blacklist for unwanted auras, and now whitelist options for only showing auras you choose on a given frame. As of version 2.0.0 (and above), S'rendarr uses the API changes made in late 2015 to allow for 'perfect' knowledge about aura details. All auras on the player and their target are now displayed and accurate, as is the castbar for the few abilities in game that have a cast time. The downside to this change is the occasional display of 'junk' auras you may not care about. These can be added to the included blacklist (enable debug option to show IDs) or, if you believe the aura should never be displayed, please report its name and when it appeared and it can be included in a 'never show' list built into the mod itself. Additional options can be found in the Settings menu under Addon Settings, S'rendarr. including gear set procs and enchant procs which add a buff effect (but which don't necessarily show on your character sheet for Srendarr to pick up automatically). 'Disable Flood Control' - By default, events will only show once until a reload (to prevent chat spam), however you can type /sdbclear at any time to reset the debug memory. Enabling this option however will turn off the flood filter entirely, allowing events to show multiple times. letting others show multiple times. 'Show Verbose Debug' Shows the entire data block returned for EVENT_COMBAT_EVENT, formatted in a human-readable way. 'Show Nameless Events' When enabled, Show All Combat Events will also show events with no name as well. /sdbclear -- Clears the current flood filter. /sdbadd -- Adds a single ID to the flood filter so it is no longer shown (must enable manual debug option). /sdbremove -- Remove a single ID from the flood filter. 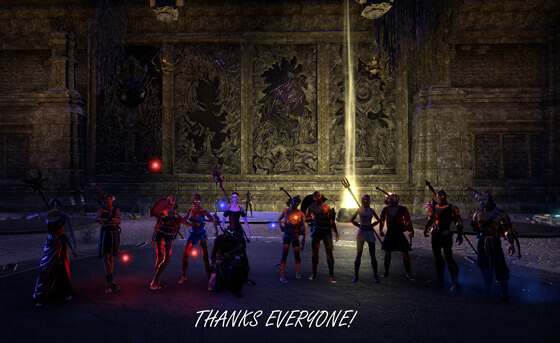 I wanted to share my gratitude and appreciation for the excellent players who came together to help me through vMoL. Raiding and PVP haven't really been an option for me since my brain cavernoma, but these kind folks helped me through it and what's more, it was a blast hanging out and chatting with them! Thanks @nekotakoyaki, @anotherTimeWizard, @Sneebly, @Dr'Strange, @YuYJ, @Rossdresser, @HalfEatenCornea, @MrPickel, @FKNSTEVO, @iTz_RickDawg, and @stileanima for the help and humor and good times, and the awesome Dro-m'Athra skin of course! Fixed bug causing target auras to disappear when changing targets then switching back. Hopefully fixed a typo causing errors with the Bandit UI support module. Added proper detection of enabled group and raid frame addons on startup. Srendarr should now automatically configure the proper frame type under General Options based on your currently enabled group/raid frames. One-time update: Disabled group and raid frame buffs and debuffs (also by default). Go to the Filters tab to re-enable them. This is for people who downloaded the update before these were off by default and were confused as to why they were suddenly getting group auras flying all over the place. Minor maintenance to default settings. Added some things to the default blacklist like extra Shadowy Disguise aura. Added stack tracking support to Bolt Escape Fatigue and properly flagged it as a debuff. Cleaned up commented mess left in ability database from previous obsolete rank removal. Fixed typo in the Bandit UI support module. Fixed superfluous aura showing for Templar spear shards. Various minor language file and code cleanup. Added group buff/debuff support for Bandits User Interface. Fixed display sample auras button not working in options. Fixed display sample cast bar button not working (still must turn cast bar on to see it). Removed many ID's from the database that were formerly for different ranks of certain abilities before ZOS changed them to have only one internal rank ID. 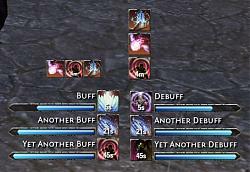 Added group buff/debuff support for Lui Extended. Added new options under general settings to manually set the group/raid frames you are using (see video). Added new separate Group/Raid Buff & Debuff tracking with full Whitelist/Blacklist support! Supports default frames and Foundry Tactical Combat. See video for details. Fixed bug causing debuffs not to register when applied to a target not currently under your reticle. Fixed long standing bug with prominent debuffs not properly updating under certain conditions resulting in overlapping auras. Added improved Kena tracking. First hit now shows as "Molag Kena 1st Hit" and the set is now in Cooldown Tracking. Added support for the new Curse Eater set to Cooldown Tracking. Added Pirate Skeleton support to Cooldown Tracking. Added ground AOE tracking support for Mantle of Siroria (normal & perfect) and removed redundant and confusing proc tracking auras. Now it will show "Siroria's Boon" for the stack tracking, "Mantle of Siroria" for the AOE, and "Mantle of Siroria Cooldown" for the cooldown tracking (if enabled). Added support for all Wrathstone dungeon & monster sets: Icy Conjuror, Tzogvin’s Warband, Mighty Glacier, Stonekeeper, Auroran’s Thunder, Scavenging Demise, Frozen Watcher, and Symphony of Blades. Updated internal source list for Major/Minory effects with several additions/removals. Updated library requirements. Must now install Libstub and LibAddonMenu separately. This will avoid version conflicts and out of date library errors in the future. Added new Major/Minor effects and removed those no longer in the game. Added two new options for configuring aura timer display under the General tab, General Options: "Tenths of Seconds" and "Show 's' Seconds." These let you set a threshold below which tenths of seconds will show (1-5), and also hide the 's' after timers with only seconds remaining, respectively. Minor code change to the timer functions for speed. Fixed missing Major Gallop when using Rapid Maneuver (and morphs). Added cooldown tracking support for Naga Shaman crafted set. Added workaround to game bug to properly show Infallible Aether as debuff on target. Updated database of Major and Minor effects with many new additions and some removals. Fixed losing target stacks when mousing away and back. Fixed a bug that could cause the buff from certain proc sets to not show. Improved set cooldown and stack tracking framework, making it more extensible. Fixed blacklist issue causing blacklisted buffs to be shown when assigned to prominent bars. Blacklisted auras will still show when they are debuffs and assigned to prominent debuffs. This mainly effects abilities like Channeled Focus which the game (wrongly) shows under both ground/AOE and short buffs. Fixed error with non-max level characters from previous empty slot proc fix. Fixed proc animation playing on empty abilty bar slots. Fixed extra Channeled Focus aura showing as buff. Reordering of major/minor buffs provided is due to mechanics of how the game updates this ability and too time consuming to work around presently. Recommend going to Srendarr's Aura Display tab, click the number assigned for short buffs, and change Aura Sorting Order to Ability Name to avoid rapid re-sorting. Updated API version and libraries. Lib update & API bump for Summerset. Untested fix for nil value error (thanks Uesp). Fixed rank 1 of unmorphed Grim Focus not tracking stacks due to the game not sending the stack build event as the ID of the ability like every other morph. Changed Arrow Spray (and morph) behavior to properly show the snare component as a snare with a unique icon, instead of just duplicating the generic arrow spray icon. Before when using Acid Spray morph for example, you would see two of the exact same icon both called "Acid Spray" on your target, one for the poison DoT and one for the snare with no way to tell them apart. Now you can easily see which is which. Various code improvements including potentially significant performance increase in situation with many aura effects happening (cyrodiil, trials, etc.). Added cooldown and proc tracking support for the following crafted sets: Death's Wind, Ashen Grip, Whitestrake's Retribution, Song of Lamae, Mechanical Acuity, and Spectre's Eye. Updated the function used for checking Major/Minor effect tables for new additions/removals on game updates. Classified 3 new Minor effects and 7 new Major effects, and removed 1 obsolete Minor and 2 obsolete Major effects from the ID tables. Other minor database and code maintenance. Fixed a minor rounding error when the option to show seconds with minutes is not enabled under general settings. Previously if you had a timer with 1 minute 52 seconds remaining, it would show as 1m. Now minute-only timers will properly round so that if the remaining seconds are greater than 30 (.5 minutes or greater) it will round the display up to the next whole minute. So, 1 minute 52 seconds displays as 2 minutes, etc. Fixed some obsolete code that was causing non-player procs and debuffs to appear when they shouldn't. Fixed the two elemental procs from Ilambris using the same icon (confusing when both proc at once). Fixed Circle of Protection (and morphs) wrongly blacklisting some of the effects. Fixed Major Expedition from NB Path ability not showing. Fixed Crystal Fragments proc showing cast bar on instant cast. Added stack tracking support for Advancing Yokeda set (Berserking Warrior). Added stack tracking for Twice-Fanged Serpent set. Added stack tracking for Asylum Destruction Staff. Fixed visual display bug with stacks when in bar mode with display of ability ID debug setting on. Added gear proc support for many sets the game doesn't track by default. MAJOR: Added new Cooldown Tracking feature (beta). Assign to a frame under general settings, Aura Control - Display Groups to see cooldowns for gears sets with an internal cooldown. Lib update and API bump for Dragon Bones. Changed behavior of stack tracking when in icon-only mode for better visibility. Added icon-change on proc events for stacking auras (currently Nightblade Grim Focus and morphs are the only abilities in the game that actually do this). EDIT: Re-uploaded to fix oversight causing names to appear on group auras which was not intended. Added new option under the general tab to disable showing seconds for timers with a duration in minutes. Fixed bug that caused special procs not to be tracked when certain debug options were enabled. Fixed game reporting Sunderflame debuff as a buff incorrectly. Fixed Caltrops timer starting when entering ground target mode instead of on activation when not using quick cast ground target mode. Modified time display to show seconds next to minutes remaining. Minor change to Defensive Rune tracking (not seeing any bug with behavior). Updated Russian localization (thanks KiriX). 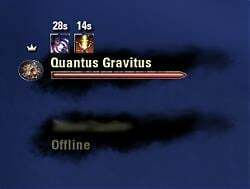 Fixed a minor annoyance where last target auras would remain floating over the empty target area when moving through load screens. It seems something changed in the client and the addon was no longer getting the target lost update for zone transitions. By request, added options to filter/show ESO Plus status aura to the Filters: Aura Filters for Player and Aura Filters for Target sections. Previously this was universally blacklisted. Added new source of Focused Aim 2s refresh aura to default blacklist. Maintenance to included language support files for easier translations. Specifically, added the English lines to commented language files so you don't have to switch back and forth when doing translations. Machine translated lines are indented. French, Japanese, and Russian language files need updated translations! Fixed the bug with the blacklist ignoring auras. Keep in mind that manually adding auras to any of the prominent lists will still bypass the blacklist, and this is intended behavior. Fixed group aura functionality for supported setups and properly disabled for unsupported addons (for now). Fixed a bug with group auras that was causing duplicate icons to be created when group composition changed or the game re-indexed the group frames. Added stack tracking in icon only mode. Added proper redirection for default tracking of modified bar ability auras. Added scrollable dropdown menus (added in LibAddonMenu 2.0 v24). Cleaned up general options tab, various other minor visual tweaks. Fixed ID display on icon mode auras when debug option to show ID is enabled. Fixed right-click aura in icon mode to dismiss (when possible) wasn't working. Added blacklist entries for duplicate vampire drain auras. Corrected Warden Scorch timer (and morphs) to properly display as AOE. Fixed a game bug where Warden Healing Seed (and morphs) were reporting a 12 second duration for the ground effect instead of the correct 6 seconds. You can now track your ground heals accurately! MAJOR: Added preliminary support for STACK TRACKING! Currently only the Hawk Eye passive from Bow and Nightblade Grim Focus (and morphs) show stacks, but these are the only abilities I actually know that use stacks so, yeah. Please report any problems! Fixed bug with no-duration passives like Warden empowered fetcherflies getting stuck when changing zones and other cases where the game doesn't send an end event. Fixed Templar Sun Fire and morphs (Vampire's Bane and Reflective Light) Major Prophecy buff to be properly classified and show as "Major Prophecy." Rebuilt the addon's internal Major/Minor effect database. Adds 2 new Minor effect sources and 55 new Major effect sources, plus the Templar stuff above. Various code cleanup and improvements. For example, special proc durations are now pulled from the ability ID's rather than hard-coded making the addon much more update-proof. API bump for Horns of the Reach. Re-populated Major and Minor buff list with all current (Morrowind) ID's and effect types. Added new dev function to pull all IDs for each type of effect by Major/Minor. See bottom of AuraData.lua for details and command usage. Fixed an omission that caused errors when unlocking after assigning the new debuff whitelist 2 to a frame. Added 2nd prominent debuff whitelist. Fixed a typo that caused errors when adding auras to certain whitelists. Rearranged general settings tab to be more convenient. Fixed a bug causing passive auras to disappear when changing addon settings. EDIT: Re-uploaded without version change to re-enable LUI group aura support temporarily. NOTE: May go out-of-sync over time (needs investigating). Added ability to track Aggressive Warhorn Major Force by whitelisting "Major Force." Added ability to whitelist fake auras (like Grim Focus and Shadow Image). Fake auras will now show their correct ability ID when Srendarr is set to show these. Srendarr's custom auras (abilities not tracked by the game but shown in Srendarr) will no longer vanish inappropriately when entering menus or cursor mode. Fixed a bug causing normal auras to reappear after showing example auras in settings then toggling lock on and off. Set up new internal framework to allow changing the name display of abilities by ID. Set up new internal framework to allow whitelisting/blacklisting ability ID's outside the previous range of 1-100000 as some new abilities already exceed this, but previous limitations prevented searching larger blocks without crashing. Added support for tracking Destructive Mage, Shadowrend, and Sentinel of Rkugamz proc sets. Reverted duplicate auras for Acid Spray and Molten Armaments being blacklisted by default. If you only want to see one aura icon for these or other abilities you will have to blacklist them yourself. Removed LUI group frame compatibility until I can find time to figure out why group ID's go out of sync. NOTE: Due to necessary changes to the inner workings of the addon, this update will require you to remove items from your whitelists and blacklist and re-add them. Write them down before removing them or use the chat output created from removing to quickly re-add them. Fixed issue with alternate aura icons not taking effect after previous update (thanks Majeure for reporting). Other minor code cleanup (cosmetic/redundancies). Fixed omitted nil check causing errors on certain ability use. (Thanks Greevir for the report). Fixed a typo that was causing enchants and other simulated procs to not function properly. BETA fix for auras disappearing when "only show player debuffs on target" is checked and others cast the same ability on the target. The current API makes it impossible to track a separate aura icon/duration for the same abilityId applied by multiple sources that are not the player. HOWEVER, this update does allow proper separation of abilities that were cast by the player and ONE copy of the same ability cast by a source that is NOT the player showing simultaneously. Changed handling of simulated player cast abilities to pull duration from the ID instead of manually setting them, which now properly accounts for passives that incrementally increase ability duration (like Nightblade Dark Veil). Fixed possible issue with some ranks of Caltrops and morphs not showing. Fixed Sorcerer Storm Atronach ultimate to track as a short buff and not an AOE. Fixed Infallible Aether set proc to properly track as a debuff on the target. Added support for Nightblade Summon Shade (and morphs) tracking. Added support for Nightblade Grim Focus (and morphs) tracking. Future-proof updated API to support Morrowind. Fixed bug related to adding to group whitelist by ID (thanks Kyoma). Added Witchmother Potent Brew redundant auras to default blacklist. Added Keep Bonus IX to Cyrodiil filters (thanks Scootworks). Some language file updates and other random tweaks. Improved hud scene hiding exception for sample auras. Completely rebuilt the group buff code from scratch. Much faster and should no longer generate errors due to previous out-of-range scenarios. Also cleaner. Created framework for submenus in custom tab panels. Cleaned up the settings menus for a big quality of life improvement. Fixed a bug that could cause errors if buff with a long timer appeared on a group frame. Fixed a bug that could cause errors on group size and type changes. Fixed a bug that caused auras with no duration to not sort properly to the bottom of the list. Fixed a minor bug with group frame initialization. Improved the appearance of aura icons when not using the icon timer animations. Icons now fit all the way to the edge of the frame. Added callback to hide all auras when in menus. Normal mouse cursor mode will still show them, and the button to show example auras within Srendarr's settings will still work. Cleaned up some code from earlier feature testing. Changed aura window sort functions to allow proper sorting of all auras regardless of type. Fixed a bug that was causing group and raid frame auras to not properly apply their configuration settings on startup. Added new feature to individual bar config: "Aura Class Override" - Allows you to manually set whether Srendarr will treat all TIMED auras (toggles and passives ignored) in this bar as either buffs or debuffs, regardless of their actual class. Useful when adding both debuffs and AOE to a window to make both use the same bar and icon animation colors. Moved the "Hide Timer Bar" back to thee top of the individual frame settings when setting to Full Mode so it is more visible and obvious. Improved the "player only debuffs" filters. Should be working properly now in all cases. Fixed the broken Reset button for bar positions. Fixed accidentally deleted language string. Enabled whitelisting of toggles and passives in the prominent groups. Fixed Block instantly disappearing when whitelisted (see above). Changed the default color for aura icon timer animations (one time color reset). Fixed a problem that was causing the group and raid frame options to not display correctly. Rebuilt localization files (need updated translations). Some quality of life maintenance on the settings menus (more to come). Added full color customization for the new aura icon timer animation. Added debuff support to bar color customization. Fixed display of Templar Spear Shards AOE. Timer now begins appropriately when the ability hits not when you start targeting. Fixed a bug that could cause other players' enchant or gear procs to trigger Srendarr as if it were your effect. Fixed a bug where the aura icon cooldown animation was showing in Mini bar mode. Moved the options to use the new cooldown animation icon style or hide the timer bar in full mode to the individual display window tabs. Can now be configured separately for each frame. Changed behavior to allow buffs or debuffs whitelisted to a prominent display to go through to the normal display window set for that type of aura (if applicable) if the prominent group it was set to is not assigned to a frame. This allows you to quickly disable separating out listed buffs/debuffs without having to clear your whitelists. Added new frame choice option for gear procs not normally tracked by the game, and separated these from enchant procs. Changed behavior so whitelisted auras and debuffs will still display even if that type of ability has been otherwise hidden by filters. Fixed Defensive Rune tracking with proper duration for each rank. Fixed bug causing auras to duplicate or otherwise not behave as expected with the new debuff whitelist. dismiss your pets, etc. by right-clicking their Srendarr icon. Fixed the position of icon mode tooltips so they no longer cover the aura icons. Added new Debuff Whitelist option. Can now add debuffs here to separate them to a target window much like prominent whitelist auras. Will still pass to the normal debuff window as well if assigned. Separate "only player debuffs" option for normal and prominent debuff windows. NOTE: Non-debuffs added here do nothing. Added group buff support for LUI unit frames. Re-built the database of Major and Minor buffs including the new Lifesteal, Magickasteal, etc. Fixed small transparent box that could show in the middle of some highly transparent aura icons. Removed Vampire aura 'Fed on ally' from default blacklist; Can be filtered from player filters again. Fixed the "Do Not Display" option (and possibly the new frame 9 and 10 options) from being linked to the wrong setting after the update added new fields to the choice dropdown. New option to display auras with the countdown animation effect (similar to Foundry Tactical and ActionDurationReminder), with a black backdrop making icons much easier to see. Also included an option to hide the bar when using full mode for display frames, so you can just show the icon and the aura name if you want to (like Foundry Tactical). Fixed a bug that was preventing setting changes for the group and raid frames from taking effect. Settings are now applied instantly in realtime to all group/raid frames. Added two new customizable windows for aura assignment for a total of 10. Fixed a bug where auras were sometimes duplicating instead of refreshing on the group frames. Added new option to filter group frame auras by duration. Added auto-repopulation of group frame auras when group size changes. Fixed (hopefully) a case where other players casting the same debuff on a target would cause your debuff to disappear when Only Show Player Debuffs was enabled. Fixed other player's Crystal Fragments procs triggering false proc event for player. Added Templar Cleansing Ritual AOE (and morphs) and Templar Spear Shards AOE (and morphs) support. Fixed bug causing auras to duplicate on group frames instead of updating. Fixed bug of group buffs appearing in prominent whitelist windows. Added new feature: "Show only player debuffs on target" under target filters. Updated German and Russian localization (thanks Scootworks & Kirix). Re-uploaded without version changee to fix unlock error. Added new feature: Group and Raid frame buff tracking. You can add abilities to track for all group/raid members to the new Group Whitelist. Alternately, there is an option to make the Group Whitelist a Blacklist and show all group buffs with a duration NOT added to your list (toggle). Restored AOE tracking ability due to API update. New debug option, "Show Verbose Debug" added. Updated LibAddonMenu, LibMediaProvider, and LibStub to the latest. Various code and language string changes. Non-English needs some updates. Temporarily disabled showing AOE in tracker to avoid recent API change resulting in seeing all surrounding AOE cast by anyone with no way to reliably filter out only the player's AOE abilities. NOTE: ZOS has indicated they will add a way to check if the source of an effect was the player so this functionality (and much more) will be added in a future release. Updated API version and added the Briarheart proc. Added the Infallible Aether proc. Added crusher enchant proc on target, and Bear Trap, Hamstring, and Ensnare on player (thanks Scootworks for some of the ID's!). Improved the debug system. Added a new option 'Allow Manual Debug Edit' to manually control the spam/flood filters when showing all combat events with the auto-flood filter disabled. Type /sdbadd XXXXXX or /sdbremove XXXXXX (where XXXXXX is the number of an ID you wish to hide/show) to add/remove ID's from the flood filter. Gave the Altmer Glamour from the Auridon quest a better icon. Updated Japanese localization and fixed incorrect acronym that was causing it not to work. Fixed extra blank entry in options menu left in accidentally from testing. Fixed error related to bug/oversight in last update. Added proper check to prevent fake debuffs on target that are not from the player. Fixed ultra-short auras (<3 sec) still showing. Fixed other people's Trap Beast showing on you. Added Flames of Oblivion to aura consolidation. Added option to individual display frames to also show minutes for timers > 1 hour. Allows to show full time (1h32m) in self buff frame and shortened time (1h+) in target buff frame, for example. German translation fully updated (thanks Scootworks!). Fixed an error when addon buff to the Prominent whitelists when you had never added anything to the other prominent list. Small update to assign Defensive Rune tracking as a toggle. NOTE: in order to see your Defensive Rune status, you will need to choose a window for Toggles to display in. Added proper exclusivity to Prominent Buff windows 1 and 2. Now when you assign a buff to one that is already in the other, it will be automatically removed from the other. Added some entries for Harness/Dampen Magic to eliminate redundant auras. Fixed Rearming Trap IV debuff timer constantly resetting. Fixed custom debuffs not showing after changing targets. Improved debug information for Show All Combat Events. Improved tooltip description for Show All Combat Events option. Rearranged settings menus to be more clean/intuitive. Added a second Prominent Buff window for custom displays. Solved error seen since last updates. NOTE: This will disable the ability to see fake debuffs from Srendarr which the game doesn't normally track (like Trap Beast bleed when target is stun immune) if you move your mouse off the target and back again. If you keep the target under your reticle these will still be tracked however. This is due to API limitations. The game gives no unique reference ID for targets in the game. Without getting overly technical, suffice it to say it is a trade-off and ATM it is more important to ensure people can play without errors than limited cases like the above working reliably. I may develop a more permanent workaround in the future. Manually acquired ability ID for ALL ranks of Defensive Rune and ALL morphs of Beast Trap. Previous implementation of support for these will now work for all ranks, not just rank IV. Added debuff tracking for "Desecrated Ground" snare cast by exploding zombies. Created workaround for game engine limitation where Srendarr wouldn't receive the information it needed to track the Beast Trap (and morphs) bleed debuff on a target if that target was immune to the initial stun effect. Some changes to the German translation (thanks Scootworks). Added support for Sorcerer ability Defensive Rune. Added Fighters Guild Circle of Protection and morphs to new consolidation system. Fixed duplicate Charging Maneuver aura. Fixed Mage Light passive in Long buffs. Fixed un-morphed Inferno in Long buffs. Added option to consolidate multi-aura passives like Restoring Light. Added the following armor set procs to the proc list: Trial By Fire, Whitestrake's Retribution, Vampire's Kiss, Tava's Favor, Clever Alchemist, Armor Master. Gave enchant procs more appropriate icons. Added new category option to show enchants and gear procs. BETA, requires ability ID's! See the new debug feature "Show Combat Events" below to help collect them! Added weapon/spell power and damage shield enchants to the above new category. Added new section to addon settings, "Debug Options" (at the very bottom). Here is an option to show the AbilityID and Name of every single effect the player gains, from block to sprint fatigue to gear set procs. Enable this, and sort through the mass of information to pick out the AbilityID and Name of a proc that Srendarr should track, and post it to comments here! UPDATE: Re-uploaded without version change. Debug mode now has spam control. Will only show ability once until /reloadui or until you type /sdbclear to reset the debug database. Fixed staged long duration auras (like vampire stages) displaying -0.0 when timer ran out at stage 4. Updated German translation file (thanks Scootworks). Added support for Assassin's Scourge ability (thanks code65536). Re-uploaded with slight changee to previous hour/minutes fix. Now will show seconds when minutes is zero instead of showing Xh0m for a whole minute. Will show XhYs. Added option to also show minutes remaining for timers greater than an hour. Fixed missing custom vampire stage icons and moved stage indicator to top left for better visibility (was hidden behind timer). Updated API to latest for Dark Brotherhood. - Added the Major Effect IDs to filter table and fixed the control ordering so Major|Minor Effects will be grouped appropriately even if they are passive. - Added Options to Hide Minor and Major Buffs, for e.g. "Minor Prophecy" or "Major Intellect"
FYI: This update doesn't support all changes in game Update 7 yet. - changed way of checking active shields in order to avoid UI error reported by cheshyr. - filtered out unwanted effects - Concentration (light armor), Medicinal Use (alchemy), Nourishing (champion points), Soul Siphoner (nghtblade) and Spell Shield (champion points). It seems like even with the "Consolidate Multi-Auras" option enabled, having Restoring Aura slotted shows the Restoring Aura buff, Minor Intellect and Minor Endurance. Minor Fortitude seems to be hidden as expected. 1, The ability to show an icon for missing buffs. So for example I compile a list of self buffs, which in case they are active I see nothing via s'rendarr. However if I am missing a selfbuff, that should put me an icon on my screen, highlighting that I should recast it. 2, Increase the icon's max size. 150 scale is not enough in some cases, could use 200. 3, If I am adding "taunt" to my debuff tracking whitelist, I can see the icon popping when I am using any kind of taunt on the mob. It would be nice if we could see other player's applied taunts too this way. Tracking minor magickasteel allows me to see my and other players elem drain without any issues, but doing the same with taunt is not working at all with other players' . Only personal taunts and clannfear's taunt is showing up. That is with the setting off at "only player prominent 1 debuffs" and "only player debuffs". Last edited by Omenpapa : 04/13/19 at 09:45 AM. Last edited by Marazota : 04/10/19 at 05:40 AM. Hello. Is it possible to toggle additional info about buffs when howering mouse cursor over the buff´s icon pls? Like the bandit´s UI does. Re: What happened to group Debuff Tracker? Anyone know? I scrolled for info but maybe im blind... It's stopped working since the patch for me. Figured it out. Somehow I lost all of my whitelisted status effects. had to redo everything. What happened to group Debuff Tracker? 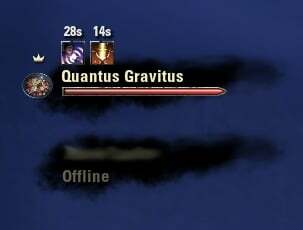 How do i configure a Debuff (Daedric Curse) to keep showing even when i switch target, so i can still see when it ends on the other target? Can someone help or tell me pls? EDIT: I will look into a special case option for Daedric Curse. You can't, unfortunately. Debuffs have never continued to show when not targeting what they are on, only AOE. This is an API limitation as only preset unitTag slots return data from the client: 'player', 'group1-24', 'reticleover', and 'groundaoe'. There is no 'lastunittargeted' which returns usable information from the client. Even if there was it seems it might not be very useful, as imagine the mess on-screen if there was a trash pack of 10 mobs all with debuffs on them. How would you decide which ones to keep on the screen and which not? Would you keep debuffs for all 10 on the screen? And what if, as in most cases, 9 out of 10 of the mobs was named the same thing? How would you tell them apart? I don't mean to sound dismissive. I have looked into the possibility of using unitID values to track more persistently over target changes as my current implementation is a workaround based on name and timestamp values. The problem is, ZOS has not added the unitID value to the data returned from the EVENT_RETICLE_TARGET_CHANGED event as they have the EVENT_EFFECT_CHANGED and EVENT_COMBAT_EVENT events, making use of this unique identifier impossible/worthless. Until we (addon authors) can convince ZOS to include unitID with the return data from EVENT_RETICLE_TARGET_CHANGED, more unique target tracking features are not possible. I see that people have already noted a similar issue with projectiles, but I'd like to highlight that the add-on no longer properly tracks non-projectile single target debuffs when you move your reticle away from the target. The add-on used to track the duration of the specified debuffs regardless of where your reticle was positioned and I assume it has now been updated to show the specific debuffs that are active on the target that your reticle is currently over, which is great. But if one applies a debuff, moves the reticle away, and then returns the reticle to the debuffed target, the specified debuff no longer shows at all. Full disclosure: I have only tested this with Burning Embers and Engulfing Flames and only in a raid environment, but I'm assuming it affects other single target debuffs and other environments. For the first part, I can state with confidence Srendarr never maintained tracking target debuffs when you moved your mouse away from a target (unless it was a bug), only AOE debuffs. It is possible a specific debuff was classified as an AOE by the game and that is what you remember, but due to the above game API limitations what you describe is not possible, nor would it be useful information in the current state as there would be no limit to the number of targets showing debuffs on the screen at once and no way to tell them apart or what debuff was on what target. In short, a hot mess. That said, I am currently looking into the reported issue with moving your mouse away and back and clearing target debuff information for certain types of debuffs. EDIT: Disappearing debuffs is fixed in the latest version. Last edited by Phinix : 03/26/19 at 03:54 AM. Last edited by Nibirion : 03/25/19 at 02:04 PM. Re: Re: AUI and permanent/passive buffs? Is there any plan to eventually support AUI group/raid frames or just the current 3? Also this might be in the settings and I just missed it, but is there any way to show permanent buffs in the group buff section? Sometimes when I'm trying to apply Minor Berserk to my group it won't show on one of the players and I assume it's because they're running Slimecraw or Bird of Prey or something to that effect. I've tried turning off the filter by duration setting but they still don't appear. As far as I know AUI uses the default group and raid frames and just changes the color scheme and graphics, so it should work with Srendarr group aura set to Default. Test this and let me know, and if not I will try to look into adding support for custom AUI frames if it uses them. I will have to test the missing buff issue you describe but in theory it should still show them since the short duration version of minor berserk has a different ID than the permanent one. How are you tracking this buff on group members? Are you using the group buff tracker as a whitelist (use as blacklist disabled) and adding "Minor Berserk" to the list there? Would be interested to know if checking "Use as Blacklist" shows the buff. Also, if you cast this Minor Berserk on yourself with Srendarr's debug option to show ability ID's enabled, and manually add that ID to your group buff list, will that show with "Use as Blacklist" unchecked? I've messed around more with the positioning and scale but I still can't get the icons to line up correctly with AUI. It seems the spacing between the different player's buff sections is too small compared to AUI's spacing. Also the Minor Berserk from Bird of Prey won't show up regardless of settings. I've tried using it's Ability ID as whitelisted, I've tried "use as blacklist" as well with nothing in the list and it still doesn't show in the group frames. Another issue I've noticed is that after applying debuffs to an enemy (specifically bosses, haven't tested minor enemies) if I change targets for a second then change back some or all debuffs will be missing. Sometimes it will be all, sometimes just the 2nd debuff leaving a small gap between the first and 3rd debuffs, etc. Noticing it on Siphon Spirit and Pierce Armor. I am really sorry if I missed instructions on how to fix this. I scrolled through a lot of comments but I didn't see anything. I uninstalled and installed. I have the two required libraries. I can see you guys updated it in March 2019. Thanks for this great addon. I'm lost without it. That was me bud, I talked to you in-game earlier. WeakAuras is an amazing addon. I have some really in-depth custom UI builds for various classes like survival hunter and elemental/enhancement shaman. When I actually play WoW that is. They lost me about a month ago when they refused to let go of their no flying fetish, and finally releasing selling point allied races like a year after the expansion only to now have to grind them out in content we still can't fly in was just terrible timing. Maybe I will revisit some day. That is the nature of gaming. PS: Hit me up in game or PM if you want to chat, I'd like to keep the comment section here clear for reports. Yeah. I know eso api is a bit more limited than wows bt any step in the direction of weakauras could only be a benefit to srenndar. I'll get out of your hair here and catch you ingame soon.